To support teachers by highlighting the critical importance of their work and amplifying their voices in policy debates about educational reform. Recently I have joined several colleagues in addressing our local School Board and Central Office regarding scheduling changes that have affected our ability to effectively provide a quality education to our students. These decision-making bodies are in a tough place and are dealing with a difficult financial situation. We have also been placed in a tough situation, having to make decisions that affect the quality of education for our students. We are having to choose between timely and quality feedback, breadth versus depth of content coverage, distributed versus massed practice, and unfortunately sometimes between the welfare of our families and that of our students. I respect the difficulty of choices that the decision-makers must make, but I hope that the difficulty of the decisions that teachers are having to make are understood by the decision-makers. So far, I'm not sure how far our voices have travelled. We've shared our concerns with everyone who can make a difference. I go back and forth between believing that we've been heard and believing that we're being tolerated. Either way, I am convinced that both locally and nationally the teacher voice is perhaps the most important voice (second to only the student) in education policy and reform, but we spend too much time behind our classroom doors. That is one reason why I've shared the link today. It highlights the positive side of education and the individual stories of successful teachers. Only time will tell if our efforts have made a difference in our district. As difficult as stepping out and raising our voices has been, our students are worth the trouble. I hope that all of our teachers, locally and nationally, will find their voice to advocate loudly and effectively on behalf of our students. This is part four of our series on the qualities that make an "exceptionally effective teacher." I learned very early in my career that teaching from another teacher's plan is not as easy as it sounds. One thing that I have appreciated about the research study on effective teachers that we've been exploring is the emphasis on the importance of personality characteristics of teachers. Because of our differing personalities and styles-- and those of our students-- very few resources can be used "as is." Learning to integrate and adapt the ideas of others effectively rather than simply "stealing" and passing it off as your own is an essential skill for a teacher. One of the most encouraging parts of our job comes when we create that unique and effective learning experience for our students that motivates and inspires them in their efforts. Games and simulations that allow students to really experience the "aha!" moment or new technologies that enable students to engage the curriculum in novel and creative ways on their own demonstrates to us what good teaching looks like. I've written before about the art of teaching in my post "Teaching and Donuts" and I find the creative element of teaching to be one of the most life giving aspects of the profession. I would like to think that in the current era of standardization and reform that more people understood this. Many teachers see active engagement, differentiated instruction, and technology integration as roadblocks and an extra burden on their time. More and more, that seems to be the piece that we are missing as teachers-- time. As an artist at Hallmark Cards, Gordon MacKenzie sought to preserve and protect his own creative spirit. Orbiting the Giant Hairball, one of my all-time favorite books, beautifully describes Gordon's journey. Gordon illustrates the tension between management and artists when it comes to production pace. He asks the reader to imagine a serene pasture where a dairy cow is quietly eating grass, chewing her cud, and swishing her tail. Outside the fence stands "a rotund gentleman in a $700, powder-blue, pinstripe suit." This gentleman is livid that the cow is not working hard. He doesn't understand that whatever milk the cow produces when placed on the milking machine is directly related to the time the cow spends out in the field—"seemingly idle, but, in fact, performing the alchemy of transforming grass into milk." Gordon skillfully compares the rotund gentleman to management leaders all over the country who have no patience for the "quiet time essential to profound creativity." I only wish that more people would recognize this and grant me the time to be creative for our children. But until then I will strive to carve out as much time in my life as I can to reflect and consider the classroom, the canvas for my creativity. With that, we would like to claim the next four days as holiday and let our minds and bodies rest, because the students we will meet on Monday morning deserve our best, not our leftovers. May we all find peace and rest, Happy Thanksgiving. This is part three of our series on the qualities that make an "exceptionally effective teacher." As a twenty-something taking Ed School classes to become a teacher, I grew tired of the cliché “students don’t care what you know until they know that you care.” Fifteen years later, I cannot remind myself of that fact enough. Rating in the top five qualities of the Exceptional Teacher study, “caring about your students” is an absolute prerequisite for a k-12 teacher. Caring gets easier the longer you teach. I have established many relationships with the parents and students in our community. So when a brother, sister, even cousin or family friend of a former student enters my class for the first time we already have a little “history.” Even when a student comes into the classroom unconnected with my life, I usually find something in their life with which I can relate: a common friend, sport, community organizations, etc. We also show that we care by holding students accountable for their behavior and their academic performance. It is easier to “go with the flow” and keep everyone happy than to hold students accountable. A caring teacher knows that sometimes “caring” means consequences while other times it means forgiveness. I’m not surprised that “caring” was near the top of the list of effective teacher qualities. Several of my colleagues, Lindsay included, sat down to lunch today with a former student who came back to visit us. A student who experiences a caring teacher does not learn from them for a year, they learn from them for life. This is all the data I need to know the importance of caring about my students. This is part two of our series on the qualities that make an "exceptionally effective teacher." It is essential to have a sense of humor if you are going to be a teacher. The job simply demands that you be able to sit back and laugh, especially at the variety of predicaments in which you will find yourself. Laughter is a survival skill. But exceptional teachers don’t just make themselves laugh; they can find ways to make their students laugh. They use humor in a way that is useful to learning and helps them teach. Not all great teachers are funny but everyone can use humor to improve their instruction in a variety of ways. There is the simple use of the youtube clip, cleverly woven into the lesson and used to start discussion or illustrate a point. If nothing else it usually gets kids attention. But there is a fine line between funny and silly. A skillful instructor knows the latter does little to improve the learning environment. In my class I have stumbled across several "tricks" that seem to keep the class engaged. One of my favorite is when someone enters my room they are politely applauded. I instruct my students to begin a soft golf clap when an outsider enters the room. Be it a student delivering a pass, a principal doing an observation, a teacher getting something off my printer, they are all met with a round of gentle applause. It is funny and welcoming. It alerts me to their presence, which is necessary when I do not notice their arrival. Rarely does a visitor merge seamlessly into the room so acknowledging them in a humorous fashion helps me remain in control of the disruption. Most visitors now have come to expect this. Fun games can also be humorous. The internet is crowded with activities from teachers who have shared such resources ranging from simple jeopardy more complex creations. I have a template similar to the game Taboo, where students have their partner try to guess the vocab word. My colleague, Mr. Turner, has been known to play "Name of Drug or Metal Band" in his Psychology class. These less formal strategies can still produce learning and it doesn't hurt to laugh when things don't go as planned. Another trick is to relate stories from your personal experience. Since you are "older" you have been where they are in life and can offer insights in a funny way. I usually clean these up as needed and occasionally embellish them to amplify the humorous effect. Experience has taught me to use self-deprecation in these and whenever possible. Maybe people relate easier to those they feel sorry for, I am not sure. I guess Charlie Brown would be a great teacher. To some these may seem a waste of valuable instructional time. But being willing to take 5 minutes to make kids laugh in exchange for engaging them rest of the period is a trade-off well worth the effort. Students might even enjoy attending the class and on occasion even pay attention. Learning is generally more enjoyable when you are having fun. This is part one of our series on the qualities that make an "exceptionally effective teacher." In my class, I strive to balance the fact that my students are in a twelfth grade college level class with the fact that they are still twelfth grade high school students. They should leave my class able to take responsibility for their own learning, but while they are here, I must take my share of responsibility for their learning. This means that I must help them discover the expectations and outcomes that earlier in their education would have been clearly outlined for them. I cannot be ambiguous and unclear, but my students must also learn self-direction and begin to set academic goals that balance their desired outcome with the expectations of the course. By nature, this becomes an individual process with some students entering the course completely capable of taking full responsibility for their academic success and others requiring a greater level of teacher and parent involvement. Earlier in my career I taught ninth and tenth grade students and this requires a different approach. Indeed, this year I teach a predominantly ninth grade elective for the first time in several years and I am learning to readjust to their needs. Personal experience informs this philosophy. As a junior in high school, my AP U.S. History course was taught as a college class. The teacher assigned reading and students were assessed periodically with tests. I never read, but managed to remember enough from test to test to manage a B which weighted to an A. By the time I took the AP test in May, I scored a 2. Most of my other classes required homework, but I only completed it when I knew it would be graded. Neither approach served me well. I did not learn the value of study and practice. In college, I continued to only do the work required for a grade-- my learning and GPA suffered. Having reasonably high expectations means that we set the bar high enough to reach, but this might be higher than the student believes he or she can reach. It also means that if one must fully extend and balance on the tips of their toes to reach the goal, sometimes they will fall. To set reasonably high expectations for our students we also have to teach the value of failure and the resiliency to learn from failure instead of letting it define our futures. The biggest challenge today is finding the time to set these challenges AND to stand behind each student as they strive to achieve. As "factory schools" pile more and more bodies into the classroom the problem of effectively challenging students becomes greater and we fall back on setting the benchmark that we know everyone can achieve instead of pushing each individual to achieve every bit that they can. Perhaps our understanding of "student engagement" could lead to unintended consequences. I know what engagement means and pride myself on my ability engage and relate to my students. I do have my limits and know I am not always successful. Many factors affect this, ranging from the fact I teach Ancient World History to what is going outside the classroom in the student's life. But I've heard and it bears repeating that the expectation, solely on the teacher to find a way to engage 100% of the students 100% of the time might be just a tad unrealistic. The comparison of a classroom to Hollywood might take a while to explain so bear with me, I will try to be engaging. Almost every television network today devotes at least some of its programming to the lives of the Hollywood stars. The minutia of their lives playing out before our eyes and most notably when they run amuck with the law. Fear not because one thing I have learned is that personal responsibility is not stressed in the world of stardom. Responsibility for ones own actions and behaviors seems an alien concept to the people we see on the TV. Which brings me to my point. When a child is not engaged that appears now to be the responsibility of the teacher and no longer the child. Obviously teachers play a huge role and should strive to engage kids. When I was in school and said "my teacher is boring" or "I don't like math" that didn't excuse me when I did poorly or didn't learn. But it seems to be moving in that direction. How did this shift occur? Setting my curriculum and any specific academic skills aside there is a lot I'm trying to teach to my students that is part of the "unwritten curriculum". Things like a good work ethic, manners, self advocacy, how to work with others, critical thinking, how to respond to failure or a challenge. Perhaps most important would be responsibility. Good teachers do what I think we are talking about and make every effort to engage their students in learning. They need to understand the importance of differentiating based on the student's needs and characteristics. Cognitively speaking this is a different equation for elementary and secondary students (who are the ones that I teach). You can easily locate strategies to engage students but doing so effectively is really what separates the science of teaching from the art that we practice as professionals. To me it means keeping them interested and involved. Making them want to learn. But they are kids after all. Here's a revolutionary thought: on occasion they should remain interested and involved because they will need to in order to succeed. Learning to combat boredom and keep your head up and pay attention is a skill. Maybe worthy among those I mentioned above that I work hard to impart. Making this happen is not so simple as catchy expressions, funny PowerPoint clipart or asking challenging questions. Sometimes I can accomplish this with humor, energy, student involvement in learning and sometimes I fail. There is no silver bullet. My approach is to build a level of rapport where they will realize they should want to do well and I have a role in that. Be it the push to not give zeros, even if the student does nothing(see the power of zero) or looking at teachers when kids are not engaged, not teaching kids about their responsibility for their education could potentially have a huge impact on them later in life. We need these kids to grow into responsible citizens or their behavior in our communities will resemble the behavior in Hollywood. Parents, teachers, everyone needs to work together to engender them with a sense of responsibility. We need to continue to emphasize the the role the child plays in their own academic success. Yes we need to engage but to point the finger solely at the teacher, what is the lesson there? Having responsibility will take them a long way in life, maybe not all the way to Hollywood, but that isn't always a bad thing. "New and Improved" or "Just New"
When purchasing a home or car beware the presence of "Wet Paint". You can hide just about any flaw with a coat of new paint. It seems educational reformers love change or "fresh paint" as well. Not just for the sake of change but I think they feel that if you change something it must be improving it. People who work in a school building welcome improvement, but know that changes are not always an improvement. A funny example was when a school board member visited our computer lab years ago and stated how wonderful it was to see students using technology and we needed more of this. The student in question was playing minesweeper. Much of the reform that arrives at the schoolhouse door is merely a centralized form of the innovation many teachers are doing already. While I do not presume that reformers are ill intentioned, quite the opposite, I do feel it is difficult for them to grasp the impact of their changes on the classroom teacher and students. Arne Duncan is no doubt a learned man and well versed in the challenges faced in education from his decade of service in the Chicago City Schools. But he is helping drive nationwide change based on a system where the makeup and needs of the community are potentially very different from elsewhere. Implementing these ideas everywhere may in fact impede and disrupt much of what is being done well. Reformers love to point to results and too often fall into the trap of falsehoods. Improvement is linked to a single indicator or solely to reforms that have been instituted. When the gains stop, it must then be time to switch to something else. 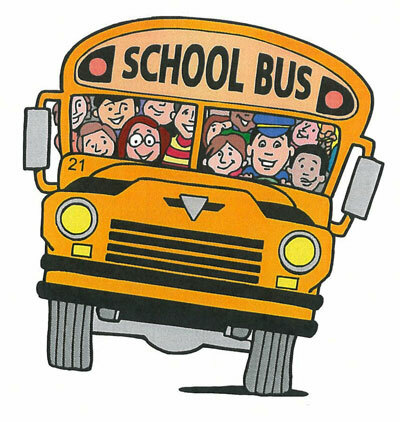 Let's think about the iconic image of American education, the yellow schoolbus. The bus driver is tasked with safely navigating the bus with precious cargo intact. 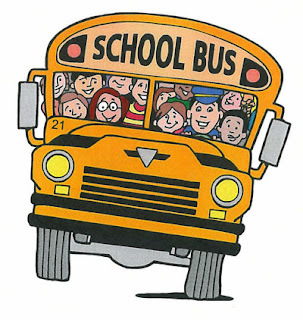 Imagine if you will that the bus was now driven by a national reformer, edupreneur, staffer or administrator at the division level who is years removed from the classroom or never spent time there. As they pass side roads they would be attracted by shiny objects or the fresh pavement and smooth surfaces. They might jerk the wheel sharply in order to change the direction of the bus thinking this is an improvement. The effect would be felt most by the passengers(students, teachers and parents), helplessly hanging on for dear life. Turn after turn...change after change...you get the point. By the time the bus opened its doors to unload, folks are worn out. My image of a bus driver evokes that of an old kind-hearted and grizzled figure who knows all the roads by heart and has driven them for years. They worked on buses and know every inch of the darn thing. They greet each passenger and appreciate how important they are to their parents. Maybe they even transported an older sibling in the past. They drive slow and wave as they pass, but you could set your clock to them. Some outsiders in their own cars who are trying to get to their own destination quickly get annoyed with the lack of progress, these drivers represent the most vocal critics of our public education system. The ride is smooth, measured and safe. The bus driver chats with the other drivers via the radio or in the lot while awaiting the rush of kids at the end of the school day. They spend hours caring for the bus, mopping the floor, returning lost items, maintaining the bus and wouldn't dare seek recognition. They are the human element in education. Their reward is knowing they have done a solid job as they always have, and always will. I admit this is a bit idyllic and different from some of the years I rode the "Cheese Wagon". My most memorable driver was Mrs. Dubell. She lived up the street and blew a whistle when we got too loud, which seemed to happen at least two times per trip. She got us there every day, cared about us, did her job well and was left alone to do her job. But times change. Drivers were forced to endure change in order to improve the system and make it more efficient. Routes were shifted and demands increased to "maximize" this efficiency. Mrs. Dubell's bus no longer sat in her driveway and it was now parked in the county lot. She had to go get it each day only to drive it back towards her house to begin her route. It wasn't long before she stopped driving all together. This began a laundry list of drivers on our route, none of which knew me, and few of which I can remember. This story applies because the bus, analogous to the education system in general, I am on now is jerky and changes course frequently. Standardized testing, NCLB, formative assessments, schedule changes, online courses, push for common practices among classrooms, grading changes, increasing class sizes and work load, staff turnover, declining morale, technological overload ,the list of changes goes on. Much of this change is unproven and quite profound. It carries the power of mandate which is often unfunded consuming resources which could be used elsewhere. I am being asked to do pretty much the same thing I was doing well earlier in my career, before I was expected to change to something else. And now there's a whole lot more of it. Honestly it is getting hard to do anything well. I guess my choices are hop off this bus and walk(too far) or suggest ways the driver can improve. The problem for me is the same as it was for the old bus driver. Determining my role in this new landscape and wondering if the relationships I forge with the students will have as big of a place in the equation? As my own child nears the age where she will depart on a schoolbus for the first day of school I know I prefer she ride with the old seasoned driver. I will want the same one each year who does their job well. I wonder what changes she will encounter that may not be improvements? 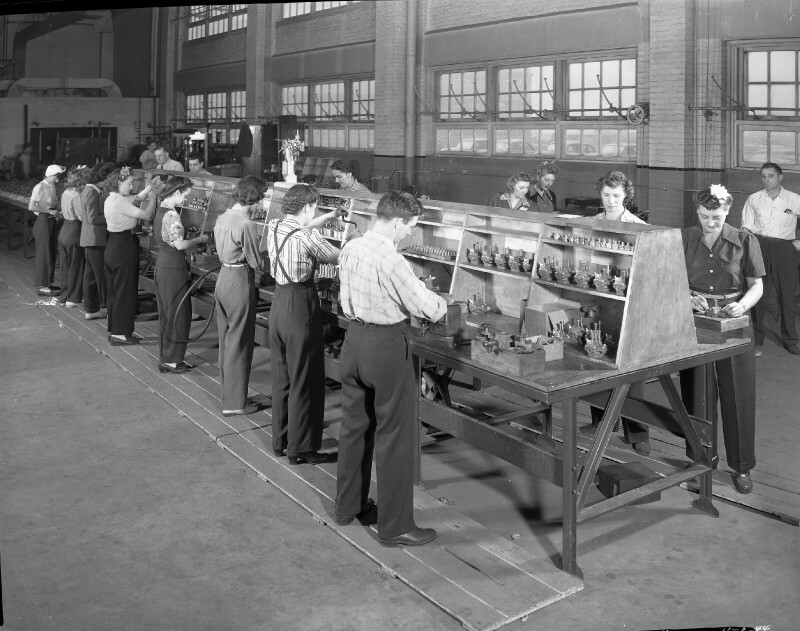 Critics and reformers alike invoke the factory system metaphor to point out the greatest flaws in our public education system. In the 21st century, the factory is an anachronism and a factory system of education is destined to follow the same road as its manufacturing counterparts. I have never met a teacher, student, or parent who would favor an "education mill" type of education, yet many would argue that much of our public school system is stuck in this 20th century pattern of production. This begs the question "how do we move into the 21st century?" We move ahead by expecting teachers to be more than assembly line workers. The ideology of a factory works this way-- divide the labor into smaller specialized pieces, take the skill out of the task, and add complexity to the system. It becomes easier to find labor to fill these roles because the system becomes more important than the worker. As long as the worker can "follow the plan”, everything runs smoothly. This has been done everywhere from McDonald's to GM. This is the way teachers are expected to act more and more, and we wonder why our schools look like factories. We teach from common curriculum, give our students common assessments to measure benchmark performance and at the end the quality of our work (teaching) and the quality of our product (students) is judged by standardized testing. "Data" gathered from isolated educational specialists inform the "best practices" to which teachers are expected to conform. Increasingly, teachers are evaluated in five-minute bursts as administrators use a standardized checklist to measure performance. Board-->Plant Manager-->Divison Managers-->Department Foremen-->Assembly Line Worker. How does this compare to a school system structure? School Board-->Superintendent-->Asst. Superintendents with specific duties-->Principals-->Assistant/Associate Principals-->Classroom teachers. Factories are governed from the top down. Decisions are made at the top; workers at the bottom follow rules. When the workers start making decisions, the system fails. The further down the chain you go, the more employees are governed by policy, protocols, and manuals. In many cases, the workers are too busy to make decisions because the highest priority becomes producing more. How do we kill the factory system of education? We stop treating teachers like assembly line employees. When they do a job well, we do not reward them by giving them more work. We protect their time to guarantee they have time to reflect and make wise decisions regarding individuals and instruction. Finally, we stop treating them as a monolithic labor force and value their individual contributions to a collaborative system of human development. How do teachers ignite this process? By remembering what we were taught in ed school, that students want to know that we care before they care what we know. No matter how many students we're given or how many classes we teach, we must never lose sight of the fact that our relationship with an individual student is the most important factor in any system of education. We need to engage the leaders of our building and systems in productive forward moving discussion. We need to recognize the autonomy that we still possess and use it to the advantage of our students and communities. When teachers are given the opportunity, and take advantage of the opportunity to creatively and actively engage the learners of their community, the factory will become a relic. The title of this post alludes to a trend I think is more and more common in schools. Increasingly reformers are asking for "data" on kids to determine how they are performing and in the process too often becoming oblivious to the voice of experience and wisdom. Data does indeed have a place in reform but is it becoming too important? My school system could be a case study in this folly of innovation and reform, but then again that is just my opinion and no one is asking for it. So according to all this effort and all this testing how are my kids doing? I already know. Recently our division signed on with a slick corporate Student Information System. With lots of bells and whistles it is a powerful tool that integrates records, grades, testing, curriculum, attendance...you name it. Now it does not do any of these things particularly well and I have come to feel it was actually designed by folks who never thought to consult teachers, counselors or school administrators. Frankly there are numerous issues with basic functionality. So in a way it seems a perfect tool for the current wave of reform. As we "work out the kinks" it becomes apparent that all too often this "solution" with which we have been provided only creates more problems and makes simple tasks much more complicated. The obvious problem is that this platform was not really designed by or for teachers. Taking attendance, properly calculating grades, printing a transcript, all are among the major issues. I cannot imagine the experience for a more seasoned teacher who might be less comfortable with technology. I don't think this is really a tool for me. It was implemented to make us more efficient and to measure and improve performance. The worst part is it currently does nothing to help me teach. On the front end I can give an online test. I was doing that eight years ago. Creating and setting up these tests is like going to the DMV or the dentist for a root canal. It is a painful and laborious process which takes way too much time, something I am already lacking. Point being that once I administer this "benchmark assessment" I will be able to identify which kids are under performing in any specific curriculum strands. Here's the rub. I already know that. This is just a way for someone else to look that up and then measure a specific teacher's performance. This system tells me what my overall grades already show. So "grades" no longer seem as valuable in the realm of data driven decisions. Where I am having trouble is finding ways to use this which allows me better serve my students. Worse yet, the people who are paid money to create, run and improve the system have yet to make it clear how that will happen. Teachers are the first to get on board with technology if it is easy to use and helps them do their job. Maybe that's why I can't find too many folks around here who feel that way about this particular technology. All I can find are people who feel the opposite. We have to input our questions, share our resources, populate it with materials and only then will we be able to actually "get" something from it. Where it is most sorely lacking is that in the race to be fancy, integrated, web based and flexible it has missed the main point of effective education reform. It does not help kids learn and it doesn't really help teachers teach. It just says which individuals among those groups are not doing well. To accomplish that all someone had to do was ask. This week is “Stuff Teacher’s Like” week on Teaching Underground. We know the idea is “borrowed” from several other sites that have perfected the “Stuff____Like” model, but we haven’t seen anything out there from teachers. So, in no particular order, here it is. It is far more difficult to miss a day of work than it is to show up when you are a teacher. Creating plans to engage students is tough; creating plans for someone else to engage students is tougher. Usually, I try to leave something we would be doing in class already that requires minimal teacher input—a video, reading assignment, self-directed practice, etc. I try my best to 1) make the class time useful and 2) keep the class moving forward in the content area. Sometimes a sub will judge your plans as busy work and allow students to slack, or even worse, carry out their own plan. A few years ago, after attending an all day conference, the math teacher in the room next door came to school several minutes before the end of the day. He peeked in my room to ask why they were watching a movie in his class. Apparently, his sub decided that his lesson was not good enough so he showed a video on perceptions so the class could have a meaningful discussion. We later found out that the same sub had done this numerous times and a few students saw this video three or four times that year—instead of doing the meaningless work left by their classroom teachers. That’s why teachers like subs who follow the lesson plan. Any other stories about sub plans gone awry out there? “Thank You.” Simple words, but very powerful ones. How much does it say about a kid if they use them? I don’t think they are intentionally being rude or ungrateful but many students seem to have forgotten the function and benefit of those precious two words. Most kids know they are supposed to say thank you, they just don’t. How sad is it that I actually notice when kids say “Thank You”? There’s the habit kind…like when you pass them a handout. That’s nice…says they were taught manners. A second type, when a kid looks at you and says it differently. Maybe walks a few steps as they read a paper or even stuff their backpack. They stop, turn back, looking you in the eyes and say, “Hey Thanks.” That’s meaningful. Little gifts are thoughtful too so including those, what is the best “thank you” you ever got from a student? …in my mind, nothing beats a two-hour delay. For one, if you get the call early enough you can manage a full two extra hours of sleep. You still see your students, so while you can’t get through everything you planned, you don’t completely lose the schedule of your pacing. Sometimes, if you need the extra time, the extra two hours becomes a “mini-teacher-workday” if the roads aren’t too treacherous to travel by car. So just what makes the two-hour delay superior to the all out Snow Day? No make up days. The shortened day counts as a full day of school. Any other parents or educators care to weigh in on the subject? I’m open to debate the merits of my choice. Do I really need to elaborate? This entry might anger some, but take a minute to think about the benefits of the Scantron. I know of very few classes that don’t make use of multiple-choice assessments in some form. Even if multiple choice is not a teacher’s preferred method of testing, at some point nearly everyone will use it. The main problem as I see it-- teachers who over-rely on the multiple choice assessment and scantron out of laziness. But in my situation, I have 155 AP Psychology students who will take a multiple choice AP test in the spring. For every 50-question test I give, that translates to 7,750 answers. Multiply that by 16 assessments in the school year and that equals 124,000 questions to grade. If it takes one second to grade a multiple-choice question by hand, that would be over 34 hours of grading this school year. Thanks to the magic of Scantron, 155 tests, 16 times a year equals 2,480 tests. Graded at a rate of one test per second, that adds up to about 41 minutes of grading over the course of a year. Honestly, how smart would I be if I chose to spend 34 hours grading something that could be done in less than one hour with comparable quality? Can anyone top that as a time saver? I challenge anyone to name one piece of technology that has saved you more than 33 hours in a year. Do any other teachers out there have a three-day work week this week? Many schools around the country serve as polling places for elections, so Election Day has become a de facto holiday in many districts. Monday is a workday, and Tuesday is often a “trade-off” day, which means we’ve spent two evenings at school for conferences so it counts as a work day. Short workweeks often mean we still work, but students are gone. This is great for many reasons. I enjoy the “rolling chair” hallway races. When kids are at school, principals frown on teachers riding their desk chairs through the halls, but when the kids are gone, all bets are off. If you walk around the building on a workday, you can also usually find a pick-up game of “trash can” basketball if you look hard enough. Another perk of teacher workdays-- the ability to use the bathroom whenever you get the urge. You don’t have to time your potty breaks for the seven-minute break between classes. We also take advantage of the ability to go out to lunch and take more than twenty-three minutes to eat. In all seriousness, a great benefit of workdays is the time afforded to converse with other adults in our profession. Workdays give us time to catch up and sometimes even get ahead. The break of daily instruction gives teachers the chance to look back and reflect while planning ahead for our students. So what do you enjoy about the short work week?